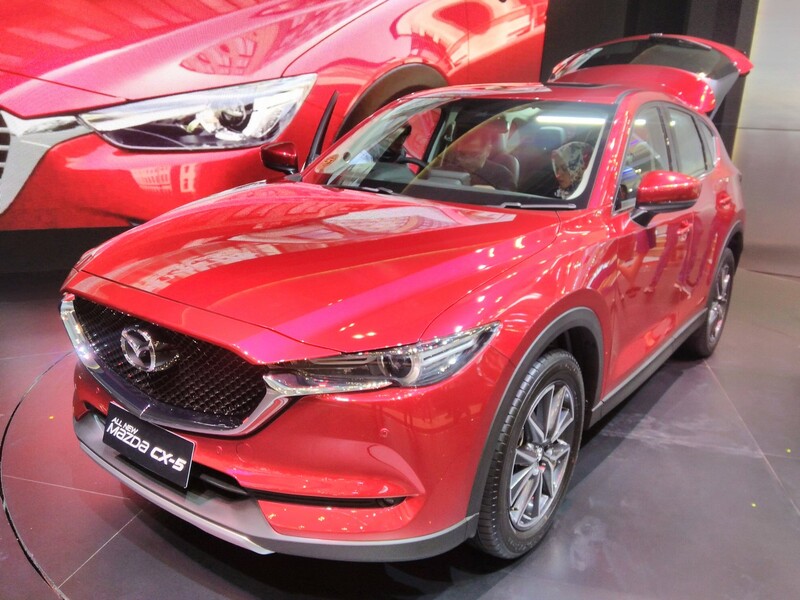 At the ongoing 2017 Gaikindo Indonesia International Auto Show, Mazda is showcasing the all new CX-5 CUV. In Indonesia. it's sold in two variants: GT and Elite. Prices range between 526.8 million - 548.8 million IDR. The 2017 Mazda CX-5 Elite comes equipped with Adaptive LED headlights, LED taillights, 19-inch wheels and a roof spoiler. Inside, it has a 4.6-inch colour display for the instrument cluster, Active Driving Display head-up display, cruise control, electric parking brake, 7-inch infotainment system, 10 speaker Bose audio system, electric parking brake, power lift gate, Lane Keep Assist, Blind spot monitoring and rear cross traffic alert. The Indonesian model can be had in one of 4 colour choices, including the new Soul Red Crystal (featured). 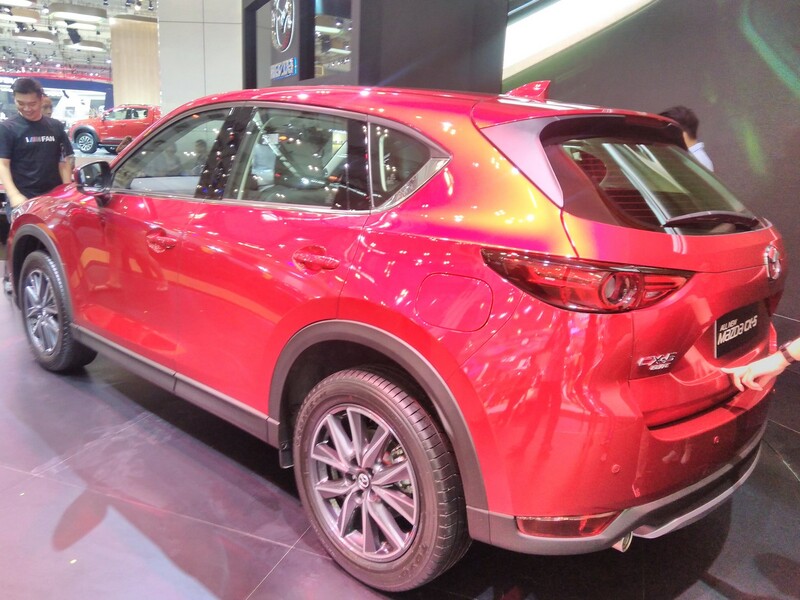 The CX-5 measures 4,550 mm long, 1,840 mm wide, 1,680 mm high, and has a wheelbase of 2,700 mm. It's a strict 5 seater with a 442L boot capacity. The 2.5-litre four-cylinder petrol engine develops 140 kW (190 PS) at 6,000 rpm and 251 Nm of torque at 3,250 rpm. It is paired with a 6-speed automatic gearbox as standard.